Court intriguers are beginning to sense that young King Louis XV, after seven years of marriage, is tiring of his Polish wife. The race is on to find a mistress for the royal bed as various factions put their best foot – and women – forward. The King’s scheming ministers push Louise, the eldest of the aristocratic Nesle sisters, into the arms of the King. Over the following decade, the four sisters: sweet, naive Louise; ambitious Pauline; complacent Diane, and cunning Marie Anne, will conspire, betray, suffer, and triumph in a desperate fight for both love and power. I've never really been interested in the French court, could it be that most of the Kings are named Louis and that just confuses me?. With all the scandal at the English court maybe I just figured they were the only ones with all the juicy gossip. These days I am learning such is not the case with the French. You just have to read the outline above to know this is going to be an interesting book. Having never heard of the Nesle sisters or even that 4 of the 5 sisters becoming mistress to the same king, one can't help wondering if this is actually fact or fiction. With the story weaving between each of the sisters it wasn't hard to get to know them, to see what motivates them and to feel the sibling rivalry that happens between sisters. There were also letters between each other, further supporting their feelings for each other. I was quite entertained learning about these girls, how they interacted with each other and their unique personalities. King Louis XV is one I knew nothing about previously, and what I have learned through this book is that he is easily controlled by those around him except when it came to his mistresses - when he wanted something (someone) nothing got in his way. I liked the authors writing style, the different chapter pov's kept me engaged and eager to keep reading. 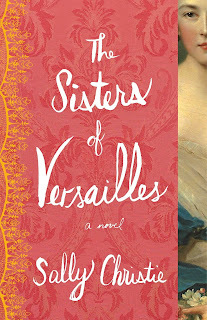 The Sisters of Versailles is the first of a planned trilogy, which I look forward to reading. I’m a life-long history buff – and I mean life-long. One of the first adult books I read was Antonia Fraser’s masterful Mary, Queen of Scots. Wow! That book just blew my little ten year old mind: something about the way it brought the past right back to life, made it live again on the page. I date my obsession with history to that time, but I’d been writing (“writing”) ever since I was able to hold a pencil. If you’d told my 12-year old self that I’d not be a writer when I grew up, I would have laughed you out of the tree house. With a few detours along the way, to work overseas in consulting and development, as well as to go to business school, I’ve finally come full circle to where I think I should be. I currently live in Toronto and when I’m not writing, I’m playing lots of tennis; doing random historical research (old census records are my favorite); playing Scrabble, and squirrel-watching (the room where I write has French doors leading out to a deck; I avidly follow, and feed, a scruffy gang). 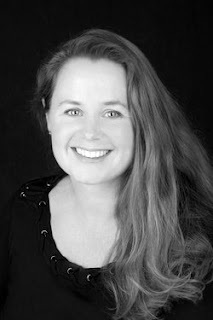 For more information please visit Sally Christie’s website. You can also find her on Goodreads and Pinterest.